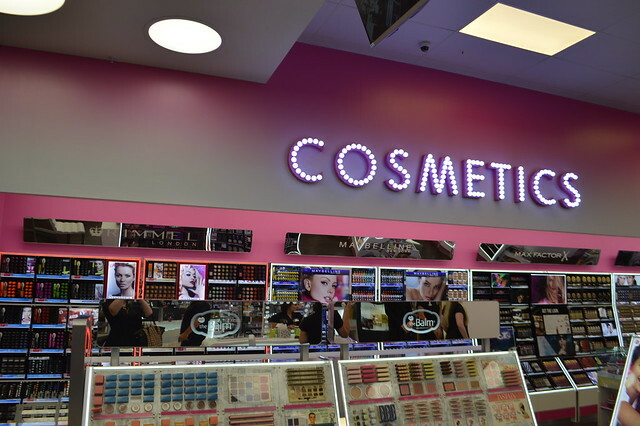 Beauty lovers of Cardiff are in for a treat because a brand new concept store Beauty Studio by Superdrug opens in St David's Centre today. I attended a preview evening last night and I was impressed by the 'candy shop' feel, colour coded zones and all the treatments on offer. 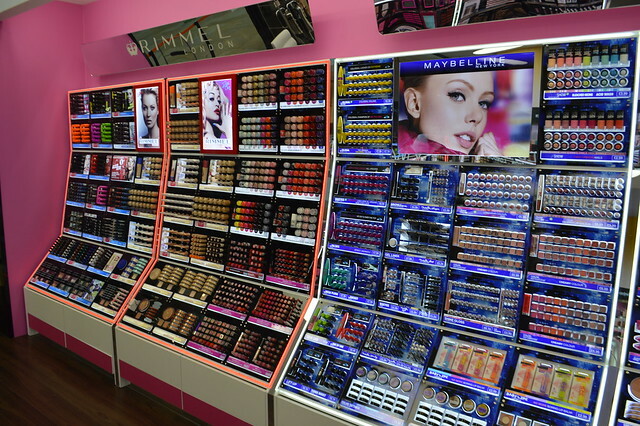 This store offers a combination of beauty services and products with highly trained staff who know which products are right for you and can apply it in store for you. The store will offer services like threading, lash tinting and extensions, manicures, nail painting and ear piercing. If you buy a nail polish in the store a nail technician can apply it for you too – free if you buy Revlon and £5 for other brands. I sampled a few of the treatments and had a wonderful blow dry and false lashes applied. I highly recommend a trip to the salon. 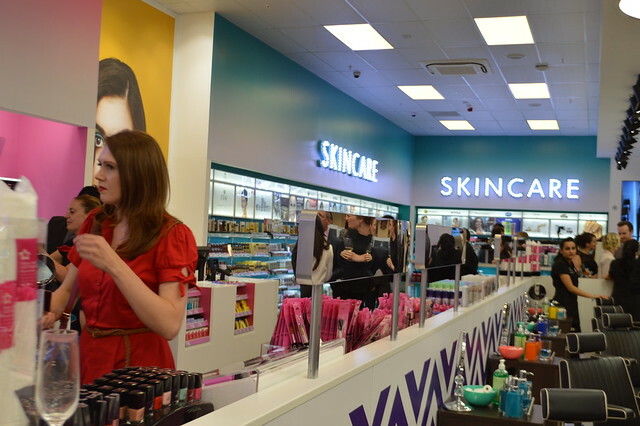 The store has a 'Hairspace' Superdrug's first in-store salon. Appointments are not necessary so you can simply turn up and get a whole new look by an experienced stylist at one of the five new workstations. The prices are great, it's just £30 for a cut and blow dry and you can get an up-do for a night out too. This store would be a great place to get ready for a big night out or for a wedding party to go to to get all their beauty treatments done in once place. Sarah looking very glam in her all red ensemble behind the beauty treatment area. I loved all the customisation in store, it was all designed and built especially for Cardiff and lots of signs were bilingual which is a lovely touch. I picked up a few items from the new store but definitely need to head back when I have more time because there were so many exclusive brands to look a that I had never seen before. 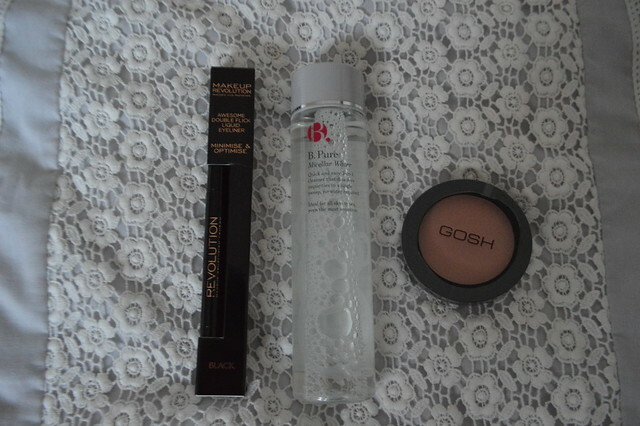 I was particularly impressed with B. and Makeup Revolution. 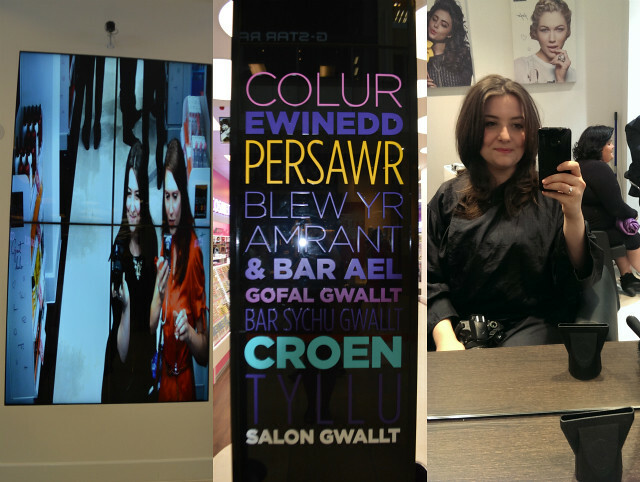 There are lots of fun gadgets in store like a iPad where you can try out different hair colours and a little selfie catwalk where you can film yourself and send it to twitter and facebook which I had a great time trying out. If you want to see the new store for yourself it's opening today and can be found in the St David's shopping centre. This looks amazing! I saw loads of tweets about it yesterday, I really want to go! Gemma - I was so so so gutted I couldn't make it (off sick with labrynthitis), it looks amazing! I'll be making a trip there next week when I'm back at work that's for sure! You were missed, definitly pop in when you're well enough because you will love it. Some great new make up brands and exclusives. I went in today and bought a few things. The shop is gorgeous and I love that they added some new brands! This is amazing, your pictures are making me salivate a bit! I love Superdrug and hope this catches on in other cities. Ah this sounds amazing. A trip to Cardiff is needed soon! I need to go to Cardiff, thank god my mum is going I have packed her off with a shopping list to bring back.